As a small business owner, I can’t do everything. I need to delegate and over the years I’ve learned to delegate and I’ve learned the hard way how not to do it. What I did was to get an outside source to come and interview my staff and ask them what they thought of me as a business manager and questions such as, how good was I at delegating tasks to them and how good was I at managing them? Now they answered anonymously, these answers were then typed up so that I could not tell whose handwriting it was and no idea who said what, but people gave very honest answers. One of the things I learned was that when I delegated tasks to them, I then turned around and said to them — Can you do this? I thought I was helping them out. I would then say, “Here is how I would like this done”. So what I was doing , the way one explained it was, I was delegating but then I was giving so much advice that it became instructional instead of asking them to do it and allowing them to learn from it. I was just asking them to do something for me that I didn’t want to do myself. So obviously knew how to do it, I just didn’t want to do it myself and that’s a big difference. So remember: the person that you delegate to should be good at doing what you’re asking them to delegate. Therefore, you don’t really need to tell them how to do it. The other way around is you should only delegate the tasks that you are not good at doing yourself. Again, ergo you should not give instructions on how to do something that you’re not good at doing. Did you get? So that’s a very, very important lesson to learn; is to delegate to somebody who’s better equipped than you at doing it, that will help you a lot. I learned very early on to only do the stuff that I’m very good at, I should do. Stuff that I’m not good at, which is a lot, I shouldn’t do. I should get someone else to do it, but I should delegate it to somebody who is good at doing it and by being good at doing it, they shouldn’t be given too much instruction. You can make it clear if they want advice, if they want it, please come and get it, but don’t give them too many instructions because then they can’t be free and you won’t get their best work. Also reward them, by the way, reward them for completion of a task. Now, another way to delegate is to sit down with them, and have a very, very short meeting and have a piece of paper so this is a formal process, although you make it informal, but it is formal. You explain what you need doing and you ask them if they’re okay doing that. Ask them — is there any information that they need or any tours or training that they need to better equip them to do that task well? These questions that you ask are in a format on a piece of paper on a checklist. If they ask you question, if they want things, rather, note them down on this piece of paper. There will be a slot for the title so give the delegation task a title, give it a date so go through the checklist of passing it over of delegating. Ask questions back. Note, answer them, make a note to come back later. Agree with the person, don’t, remember don’t instruct, agree with them, a deadline for completion. I mean you can tell them it needs to be done by X date but ask them: do they need that long? When do they think they can have it done by? and when they give a date say now: is that genuinely enough time? do you want to have another day of something? Of course this could be a big delegated task it could be something small that will be done later that day but follow the same instructions, follow the same process for everyone and you will get used to it. It will become a habit and everyone will become used to it. It’s a very good way of doing it. I got this by the way from the E-Myth Mastery Course, and it has made the world of difference to getting stuff done. They and you will then sign at the bottom of this delegated task form. It’s a delegation agreement, signed it, name it, date it. You have committed your side. They have committed their side. There is then accountability. Don’t pressure them, remind them if there’s anything they need, any time, just ask even if you are not equipped, you will provide it or you will try your best. 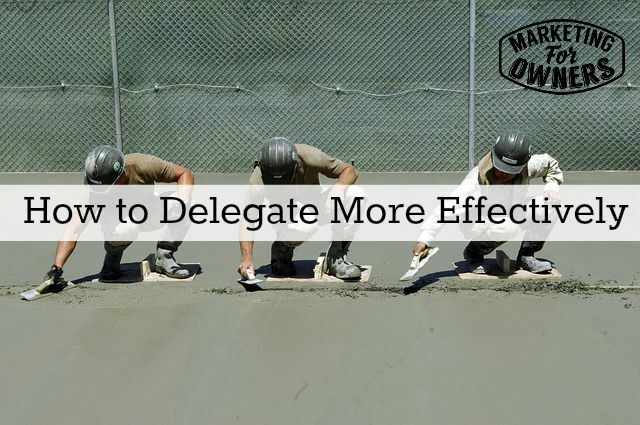 This is how you delegate more effectively. This is a five-minute process. Trust me it works I did not invent it, that’s the best way. Anyway it’s Thursday. We want a nice podcast to listen to on our way home from work or while we’re making the dinner or while we’re doing the washing up or washing the dishes, whatever you’d like to call it. Today I’m going to recommend So Money. 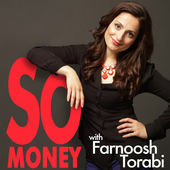 Now this is by a lovely lady called Farnoosh Torabi. This is important, my friends. Please, please listen, I’m only going to recommend stuff that’s good for you. Go on give it a go. I’ll come up with another one, but, by the way come back tomorrow, episode 200. I’m going to cover how I learned how not to procrastinate. See you then.